Why is Bountie Going for Esports? Most of you would know by now that esports has been around for quite some time. But why has esports only started to gain house-hold prominence within the past decade? Well, a huge part of the esports universe revolves around its fans and viewers, which is about 300 million strong worldwide. Thanks to a great amount of sponsorships and broadcasting efforts, esports has managed to expand and reach out to not only the esports enthusiasts, but also the common person. Before we go further into why Bountie wants to go into esports, here are some facts to ponder on. 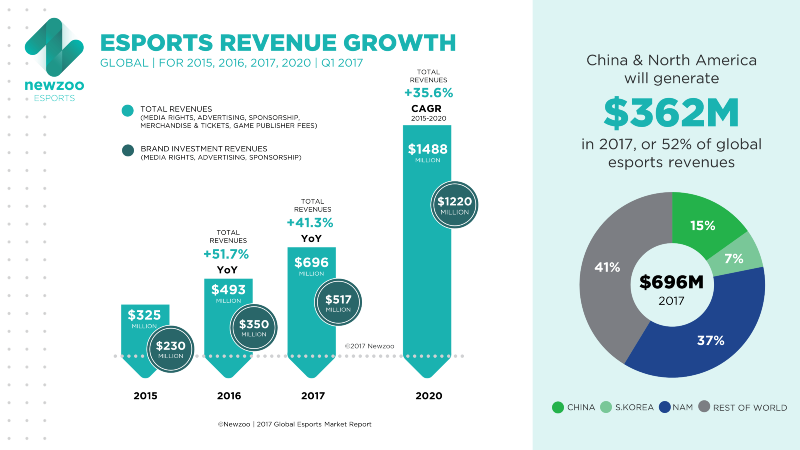 Newszoo, the leading market intelligence provider for esports, predicted back in February 2017 that the total global revenue from esports would hit US$696 million in 2017 and surpass US$1.5 billion in 2020, based on the current 40% year on year growth that the industry has been enjoying. On the consumer end, the global esports audience has grown significantly over the years as well. In 2012, there were a respectable 134 million esports viewers and in 2017 the number has reached 385 million and expected to hit 589 million in 2020. As you can see, the esports market has grown and will continue to grow both in audience size and revenue opportunities. This is something Bountie wants to help out. But first, some context. 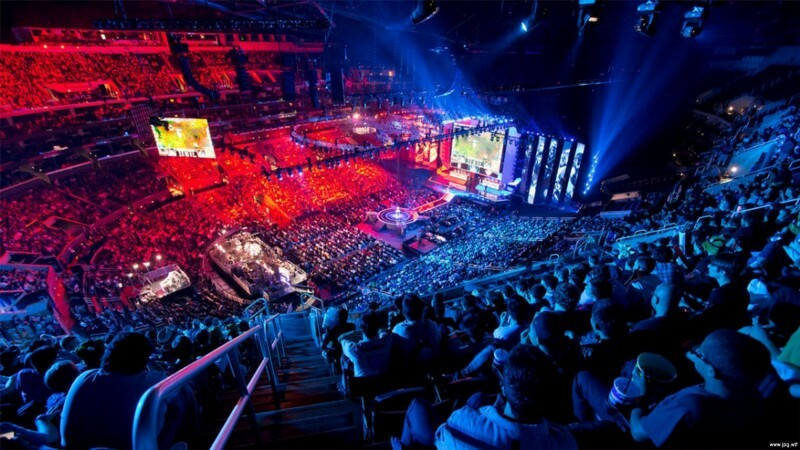 An approximate 300 million people tune in to esports everyday and it will grow to close to 500 million daily. As the saying goes, if all the esports viewers came together, they would form the 5th largest nation in the world. In 2016, more than 6 billion hours were spent watching professional gaming, up 19% from 2015, and fans typically spend 100 minutes on average spectating esports per session. What’s interesting is that only 42% of them actually play the games they are viewing and half are just occasional viewers (those that watch esports less than once a month). This shows that there is interest coming not only from esports enthusiasts but also those that are new to the scene. Most of the audience are millennials and tech savvy people, with about 39% of the US viewers falling into the 25–34 age range and 61% of the 18+ year old viewers that are earning in excess of US$50,000 a year. However, the majority of the millennial audience are staunch ad-blockers, making it hard for advertisers to reach out to the esports audience, even though there are more non-endemic brands like Red Bull and Coca-Cola entering the esports’ sponsoring and advertising scene. These brands are eager to tap into the diverse audience that comprises of both esports enthusiasts as well as occasional viewers. In the esports revenue pie, the two largest slices come from advertising and sponsorship, both accounting for 60% of the total revenue. To improve the success of advertising, some TV networks such as NBC and ESPN are planning to broadcast esports content on their networks alongside traditional sports, as well as to launch their own esports tournaments. This helps to attract the millennial audience back to television again -a medium mostly abandoned by the younger generation already- and increase the reach and success of advertising and sponsorship efforts, since there are no ad-blocks in effect on TV sets. We here at Bountie believe in bringing esports to the wider audience as well. We believe that being one of the first in the Asian region to allow players to wager and compete against one another, we would be able to gain a wide audience that would want to watch our matches and tournaments on our platform as well. This is a great opportunity for advertisers and sponsors to work with us to increase their brand awareness and reach out to the young and ready market. When FirstBlood launched their ICO back in 2016, they managed to raise US$5.5 million in Ether within minutes of launch. This shows that the public’s demand and belief in what they were doing was high. In case you don’t know what FirstBlood is, they too are a platform based on the blockchain technology that allows player to wage and compete against one another, similiar to what Bountie is doing. Besides just competing against other players on the Bountie platform, players can also take part in daily quest rewards as well. These quests can involve objectives such as playing 10 games, achieving 50 in-game kills or sharing your match results on social media. We believe that most games have a limited replay and fun factor, hence by having the matchmaking services and daily quests rewards, we are able to lengthen the longevity of and interests in the games. And at the core of it all, blockchain technology is able to reduce the chances of fraud, the need for high transactional fees and provide instantaneous reward settlement as well. This allows players to enjoy our platform and its services without the worry and hassle, something only blockchain technology can provide. Esports, unlike traditional sports, is not limited by factors such as physical or spacial constraints since it utilizes digital platforms. For example, you cannot fit a 100 vs 100 players basketball game in a basketball court to compete, but you can in esports (think PlayerUnknown’s Battlegrounds aka PUBG) as new games can be created with scalable dynamics, variances and player numbers. Scalable dynamics means that, for example, an existing game such as Counter-Strike: Global Offensive can be updated to have a battle royale mode similar to that in PUBG, therefore creating a new game mode with different player size. By having new game modes and content on the esports games, we believe that the esports scene will remain fresh and exciting and continue to retain its loyal following around the world. The esports arena is one that is young but massive. Bountie is happy to not only host games where people can enjoy competing against one another, but to be a platform where people from all walks of life can enjoy spectating this amazing form of entertainment. We are here and ready to serve the community! 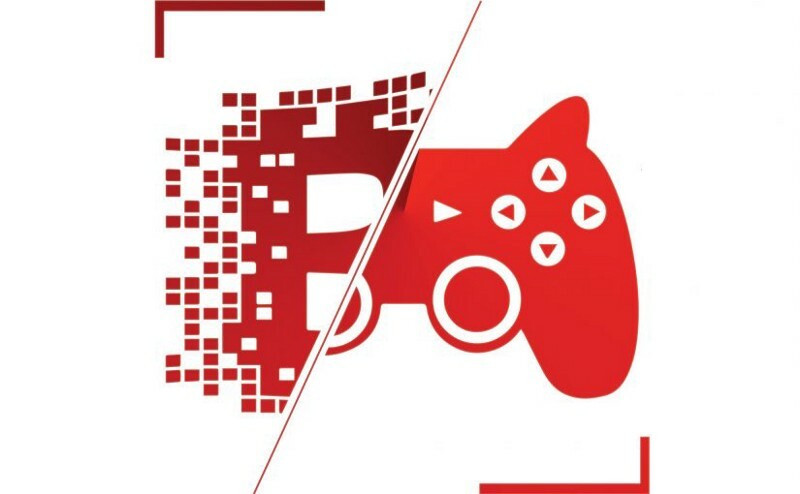 Bountie is a platform for gamers in Asia to make a living while playing their favourite games, a big eco-system of gamers, merchants and game developers.